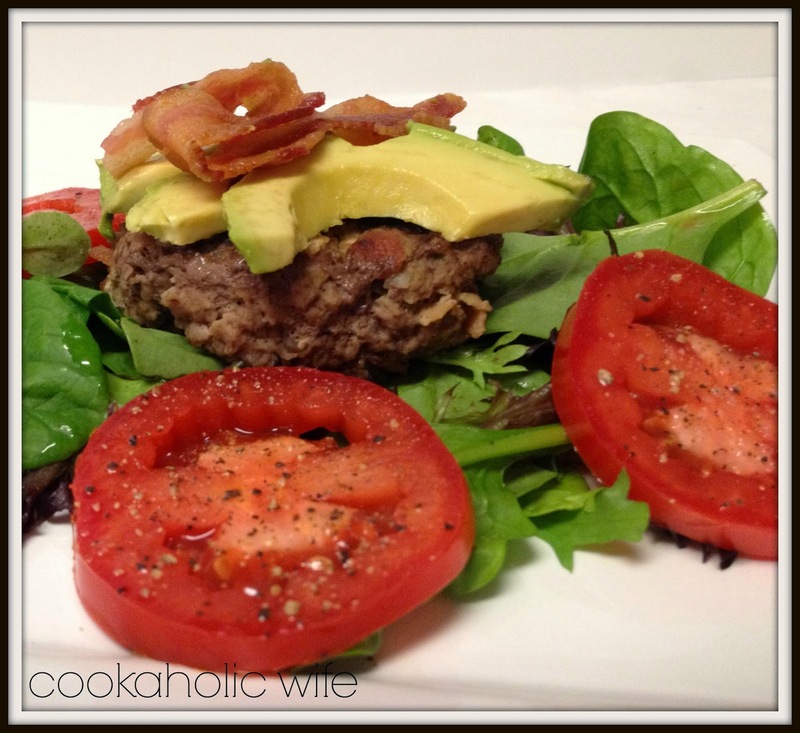 I first found this burger on stalkerville.net, which is an awesome website for Paleo and Whole30, and knew I had to make it right away. 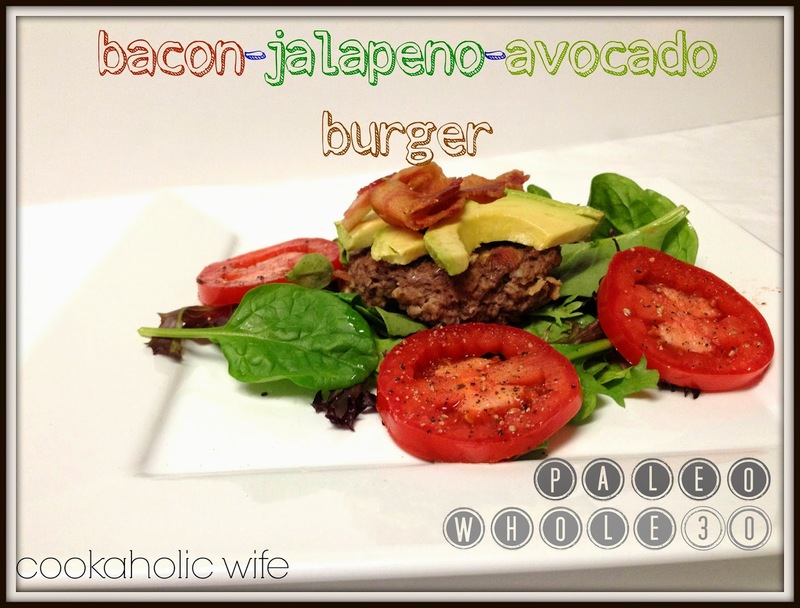 Bacon and avocado are two of my favorite foods so I wanted to make this right away. Since Tom is not a fan of avocado, I opted not to stuff it in the burgers like the original recipe and used it as a topping. 2. Combine ground beef, jalapeno, garlic, salt and pepper in a bowl and form into 4-5 patties. Grill the patties for 3-4 minutes on each side or until cooked through. 3. Serve with desired toppings. I really should have picked up another pound of ground beef and made double the amount of burgers to have leftovers. These were great. Even after the Whole30 I definitely plan on making them again.